Philadelphia based performer, pedagogue, and conductor, Kenneth Bean earned a Bachelors of Music from the Oberlin Conservatory of Music in Trumpet Performance and a Masters of Music Education from Jackson State University. During his time in school he studied with Ryan Anthony, Jack Sutte, and Roy Poper. 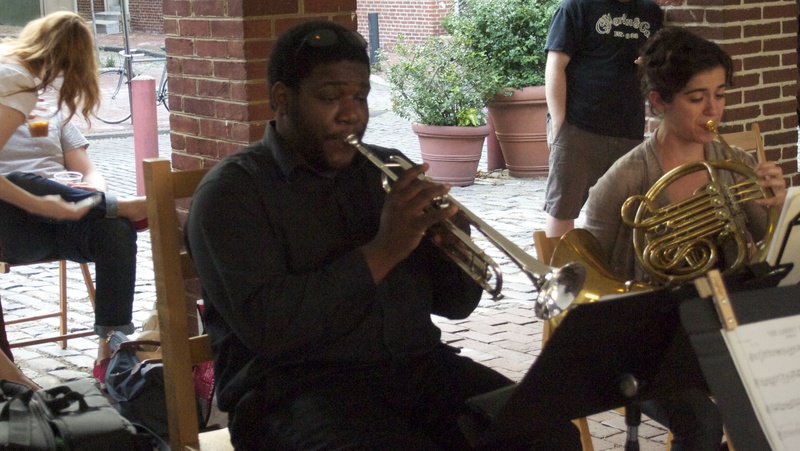 In Philadelphia, he is currently a member of the Philadelphia Chamber Brass as well as the Philos Brass Ensemble and has previously appeared with the Mississippi Symphony Orchestra, Philadelphia Chamber Choir, Atlantic Brass Band, Soulful Symphony and the Black Pearl Chamber Orchestra, where he also worked as a teaching artist in their Orchestrating Leadership program. Kenny has appeared on numerous recordings by ensembles such as Symphony in C, the Monocacy Chamber Orchestra, and hip-hop artist Thee Phantom & the Illharmonic Orchestra. In addition to performing, Kenny is an active teacher at many area festivals and schools including Settlement Music School, the School District of Philadelphia, St. Francis de Sales school, the Premier Orchestra Institute of the Mississippi Symphony, Kinhaven Music School, and is currently on faculty at Play On, Philly! and the Luzerne Music Center. Kenny also serves as Music Director of the Junior String Philharmonic of the Lehigh Valley in Bethlehem, PA.